During the past thirty years the American religious landscape has undergone a dramatic change. More and more churches meet in converted warehouses, many have ministers who've never attended a seminary, and congregations are singing songs whose melodies might be heard in bars or nightclubs. Donald E. Miller's provocative examination of these "new paradigm churches"—sometimes called megachurches or postdenominational churches shows how they are reinventing the way Christianity is experienced in the United States today. Drawing on over five years of research and hundreds of interviews, Miller explores three of the movements that have created new paradigm churches: Calvary Chapel, Vineyard Christian Fellowship, and Hope Chapel. Together, these groups have over one thousand congregations and are growing rapidly, attracting large numbers of worshipers who have felt alienated from institutional religion. While attempting to reconnect with first-century Christianity, these churches meet in nonreligious structures and use the medium of contemporary twentieth-century America to spread their message through contemporary forms of worship, Christian rock music, and a variety of support and interest groups. In the first book to examine postdenominational churches in depth, Miller argues that these churches are involved in a second Reformation, one that challenges the bureaucracy and rigidity of mainstream Christianity. 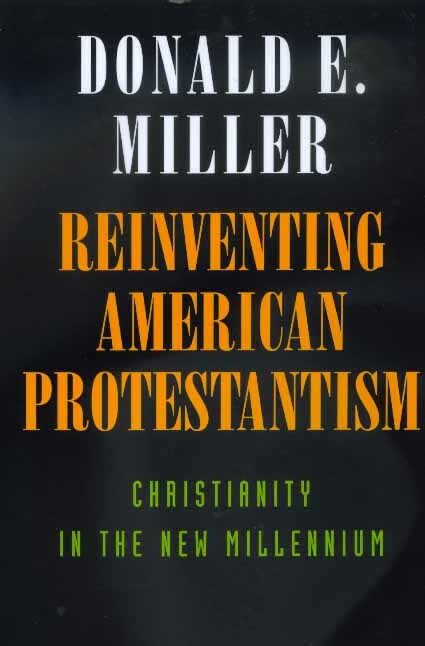 The religion of the new millennium, says Miller, will connect people to the sacred by reinventing traditional worship and redefining the institutional forms associated with denominational Christian churches. 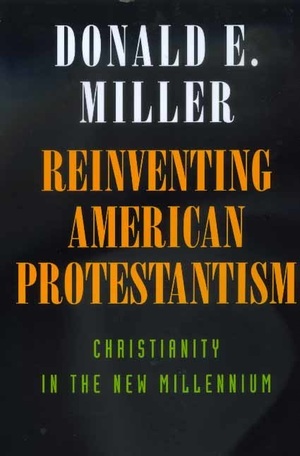 Nothing less than a transformation of religion in the United States may be taking place, and Miller convincingly demonstrates how "postmodern traditionalists" are at the forefront of this change. Donald E. Miller is Professor of Religion at the University of Southern California. He is coauthor with Barry Seltzer of Homeless Families: The Struggle for Dignity (1993) and with Lorna Miller of Survivors: An Oral History of the Armenian Genocide (California, 1993).